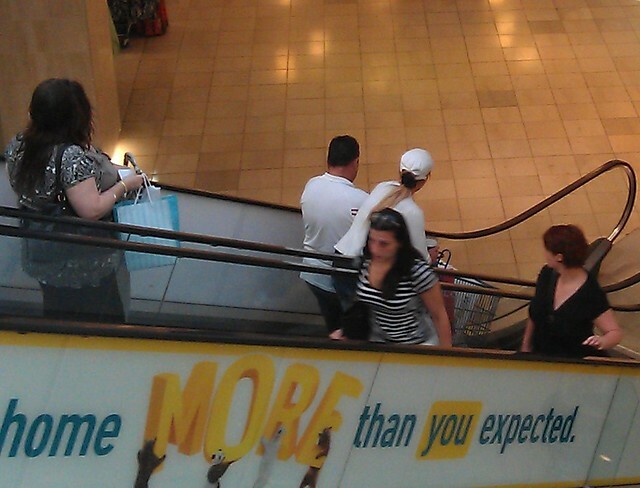 Here’s a pic of some fools taking a shopping trolley on the escalator at Highpoint, where Marita and I managed to do a surgical strike for last-minute presents, and be back on the tram to her place within 30 minutes, before it got stupidly busy this morning. …and here, with the brightness and contrast adjusted, is kinda what the wrapping paper looks like when in a darkened room. Hmmm. ← Previous Previous post: If Myer went totally online, would the Christmas Windows turn into a web site? Merry Christmas – thanks for keeping us entertained this year. Also, a great job you are doing for public transport. 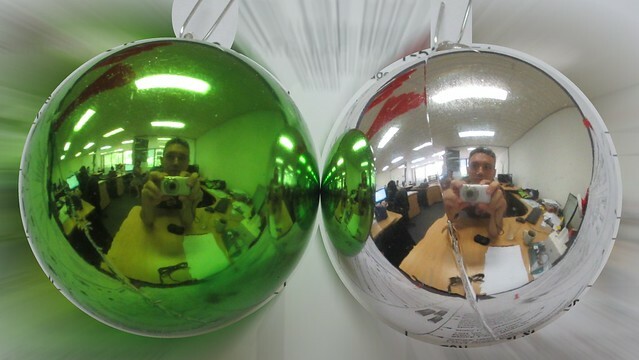 PS Should we be alarmed that one of your (Xmas) balls is green ? So. many. double. entendres. to. make about the Christmas balls…. must. stop. myself…. Seriously though I hope you and your family had a good Christmas and I’ll put in an early ‘happy new 2012’ as well.